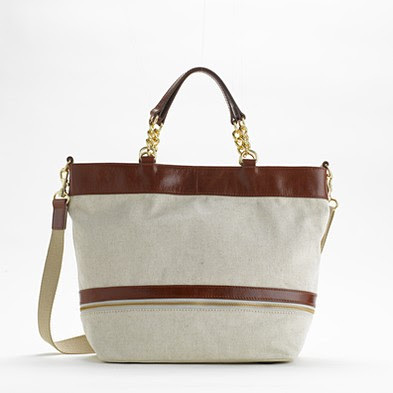 great bag — Pencil & Paper Co.
Love this canvas and leather bag (with fab chain detail) from the J Crew Factory store ......and only $98! i'm stealing this for next year!! !